A vast archipelago stretching for over 5,000 kilometres and encompassing more than 17,000 islands, Indonesia is diverse and fascinating. Its appeal includes traditional cultures, rich volcanic beauty, tropical beaches and imaginative arts and architecture. 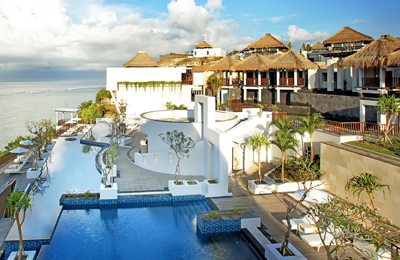 Bali’s beaches, easygoing air and warm hospitality have long made it a delightful holiday destination. Its interior is lush and green with vast terraced rice fields. Its strong artistic heritage is evidenced by exquisite batik paintings and intricate wood carvings. Lombok is less well-known and unique in its Sasak heritage and culture. 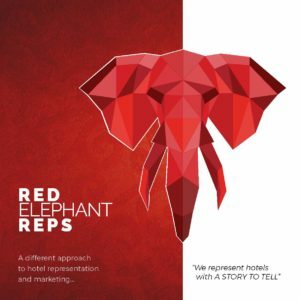 Java plays host not only to the famous Borobudur Temple, an architectural wonder and UNESCO World Heritage Site, but also highland retreats, tea plantations, volcanoes and scenic mountain passes. Sulawesi’s forested heart protects the regency of Tana Toraja where hanging graves and cliffs displaying ancestral sculptures are a vital element of the death-venerating culture. Hidden Balliem Valley in West Papua has traditional Dani villages and precarious dangling footbridges crafted entirely from natural twine. Sumatra’s wild volcanic landscape offers plenty of options for trekking while its vast crater lake, Lake Toba, provides a spectacular backdrop for a few days’ relaxing on the island of Palau Samosir. Kalimantan is Indonesia’s portion of the island of Borneo. Orangutans and proboscis monkeys may be viewed from traditional boats weaving through the waters of the Tanjung Puting National Park. Komodo dragons are the stars on Komodo and Rinca, two of the very few islands where these massive lizards live in the wild. 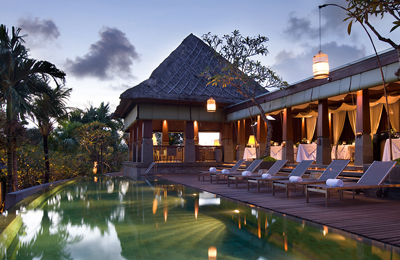 Situated in the secluded part of Bali, Nusa Dua, Samabe Bali Suites & Villa epitomises the tranquility of a luxurious beach resort in a lavish style. 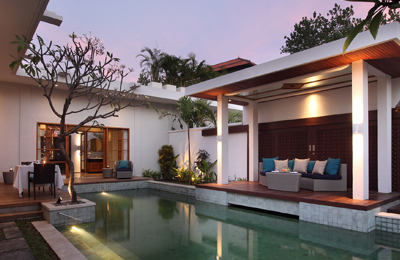 This Seminyak beach front luxury resort has 23 Pool Villas, and 7 Royal Pavilion Villas on the beachside part of the property alongside of the famous Seminyak Beach. Samaya Ubud us a luxury resort is located near Ubud in the Ayung river valley with stylish, spacious pool villas with all modern amenities with beautiful tropical gardens. Located in the heart of Seminyak, surrounded by pristine gardens and rich in the rewards that fresh open air brings, a stay at The Kayana offers guests total privacy and tranquility. 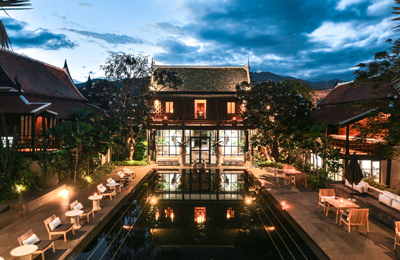 Villa Mahabhirom is a sophisticated and comfortable hotel located on the road to the historic Wat U Mong Temple, one of the symbols of Chiang Mai. 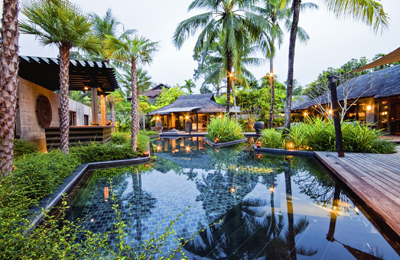 The Slate is a design masterpiece nestled in its own private paradise adjacent to unspoiled Nai Yang Beach and Phuket Airport that plays tribute to the local history, customs and heritage.